Villa Illalangi is currently undergoing building work as a result of Cyclone Debbie in March. Bookings are currently closed until late 2018. Stay tuned for exciting new updates. Villa Illalangi has a fresh new look and is nothing short of stunning. 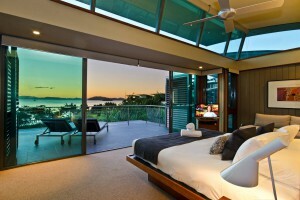 This house is for those after a true tropical paradise on beautiful Hamilton Island. 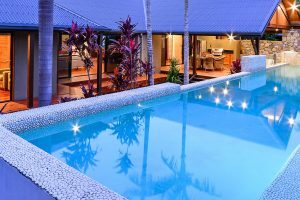 With a massive wooden deck and outdoor entertaining area, its no surprise that this is one of the most sought after Hamilton Island private homes. The pool and deck areas are an absolute sunbakers heaven! Offers some of the best views on the island! 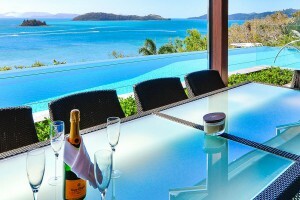 Illalangi on Hamilton Island is a luxury haven. 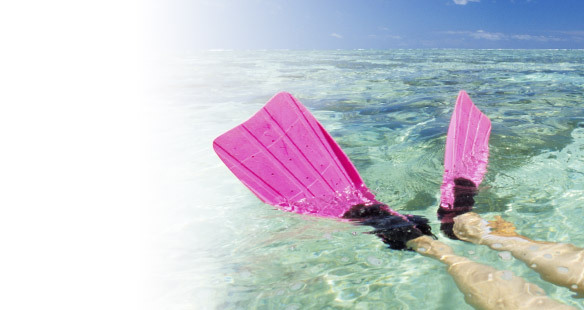 The breathtaking water views, landscaped gardens and amazing pool area have to be among the best on Hamilton Island. If you can tear yourself away from all of this and step inside, you will find a beautifully furnished home. Cleverly designed, Villa Illalangi offers elegance and luxury in a lush tropical surrounding. There are 4 bedrooms and several lounge/sitting areas to relax in. Baby Equipment 2 x Porta Cot, 2 x highchair & 2 x Strollers. Bathrooms 3 bathrooms, 2 are ensuites. Internet Access Free wireless internet available in this property. Note: internet is for general browsing and emails only. Strictly no movie or game downloads. Excess usage will be charged to guest. 28 Melaleuca Drive, Hamilton Island, QLD, 4803. View Map. Buggy 2 x 4 seater buggies. Electric buggies. Please ensure you charge as instructed by the valet service.